Are you tired of waiting for expensive capillaries ordered at fixed lengths, when you want to run your next experiment and just need a different sized loop for your micro-HPLC assay? 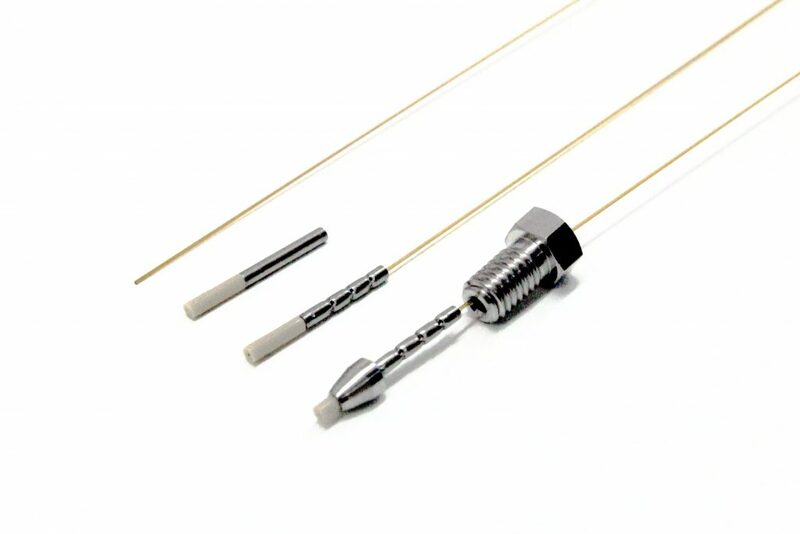 The ZircoFit™ system (patent pending) was developed to meet the need of modern-day micro- and nano-UHPLC users for custom-length, high-pressure fused silica connections. Easy to use, functional, and economical, it is unique on the market today. Now you can have that custom-length (or volume) connection in a matter of minutes. 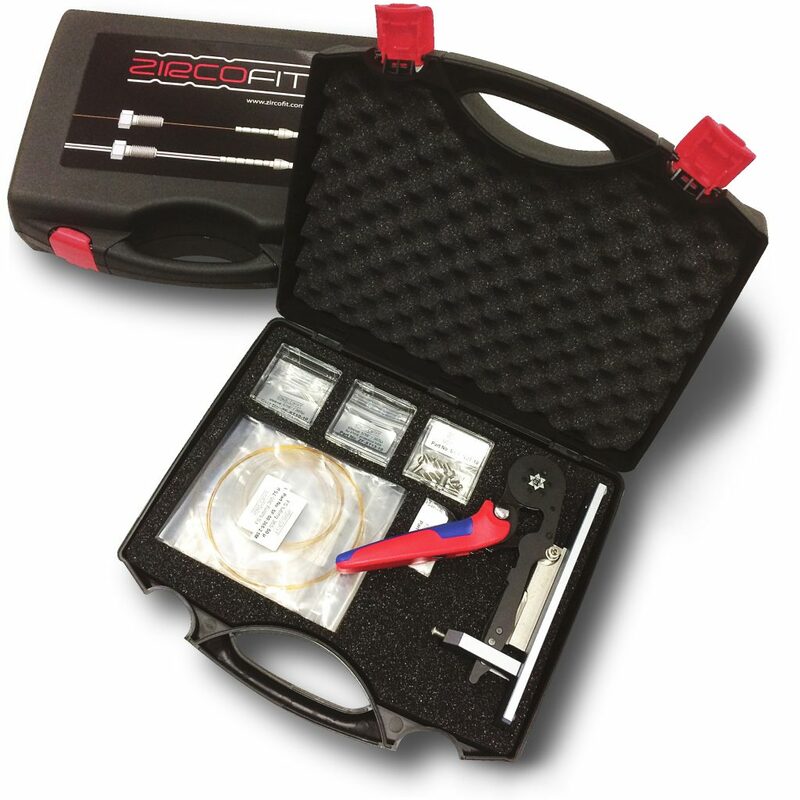 The starter kit contains all the parts needed for ten complete capillary connections and comes in a handy tool case: ZircoFit™crimp sleeves, 1/16″ conical fittings, fused silica capillaries and cutter, PTFE protective tubing, and the ZircoFit™ crimping tool. The latter is a squeezer that fits the sleeves onto the capillaries tight enough that they will not leak at 20,000 PSI. The core of the system is a combination of a PEEK sleeve with a fitted stainless steel collar on one side. Crimped with the appropriate squeezer, this assembly has a much stronger grip on the capillary than what would be possible by only pressing a normal conical ferrule onto a plastic sleeve. You can order all of these parts, with worldwide shipping, at shop.zircofit.com.